Crisp autumn weather calls for cuddling up with someone you love. 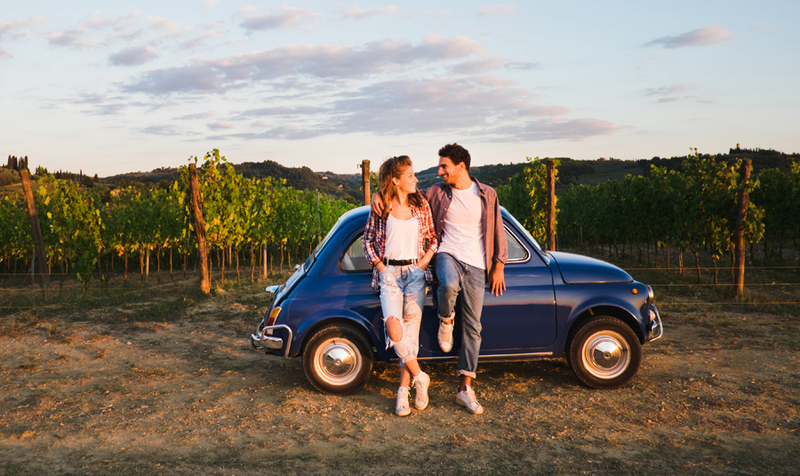 And if you are thinking of taking romance on the road by planning a special getaway, don't miss these great travel tips from USA Today. Whether you're married with kids, newlyweds or simply dating, romantic mini vacations are an important component in a lasting relationship. Nothing stokes the fire like quality time away. Step number six in the USA today article, 'How to Plan a Romantic Vacation' suggests that you ask the hotel staff for assistance when planning your romantic getaway. With a little advance notice, the staff at the Spindrift Inn are experts when it comes to placing little extras in your room like a sumptuous box of locally made chocolates, a chilled bottle of Monterey County Chardonnay or fresh, fragrant flowers. Front desk staff will also guide you to a romantic beach for watching the sunset and set you up with reservations at an intimate restaurant. Bellman will help set the stage for romance by lighting a cozy wood burning fire in your room, then open your windows so you can listen to the soothing sounds of the ocean as you drift off to sleep. It is no wonder the Spindrift Inn was named the 'Most Romantic Hotel in the U.S.' for two consecutive years according to TripAdvisor members. And if you are planning a marriage proposal, consider making a truly unique memory at the Monterey Bay Aquarium. By making advance arrangement with the Aquarium reservation staff you can arrange a private, behind the scenes tour and plan to pop the question amid the tranquil scenery of the giant kelp forest.